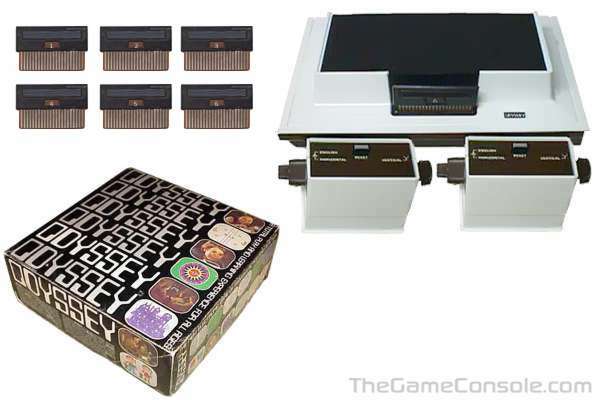 The Magnavox Odyssey is the first home video game console, predating the Atari PONG home consoles by three years. The Odyssey was designed by Ralph Baer, who had a working prototype finished by 1968. This prototype is affectionately known as the "Brown Box" to classic video game hobbyists. Unlike most video game consoles, the Odyssey is analog rather than digital, which makes its invention all the more amazing in spite of its rather crude graphics and controller responsiveness. Also, unlike any conventional console today, this system was powered by batteries. The Odyssey and its variants also lack sound capability (hence a silent console), which was not uncommon in early PONG systems of that era. The Odyssey was released in May 1972. While it did not perform badly, it did not take long before it succumbed to poor marketing by Magnavox retail chains. One of their mistakes was misleading consumers into believing that the Odyssey would work only on Magnavox televisions. It did, however, prove that consoles for the home could be designed. Magnavox Odyssey on What's My Line?